I can’t tell you how many complements I get on my necklace. And they aren’t just from women either I have gotten a boat load from the men too. Daria(the bff) gave me this necklace for my birthday! I have to say she is the best. 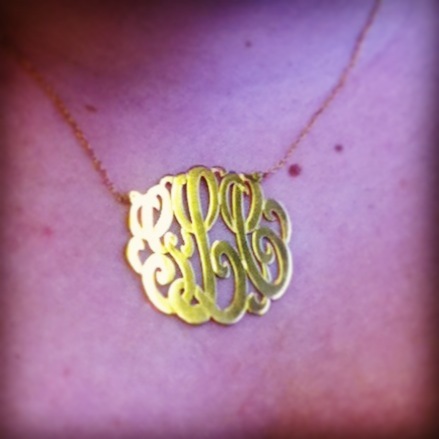 An initial necklace has been on my wishlist for a while but I never bite the bullet. Now I have no clue what Esty seller she bought it from, but I do know it’s from Etsy. So I will leave some links to the ones I like the most. I must say I have little energy to write a post today. I have been up since 6am, worked til 6:30pm and now I am ready to go die in my air-conditioning(it’s 10:30pm). We got a new system at work today(I am a bank teller) and it was one hell of a day. It was not as bad as I thought, but still we had some hitches and glitches. I am just glad it is over and that I have off tomorrow. 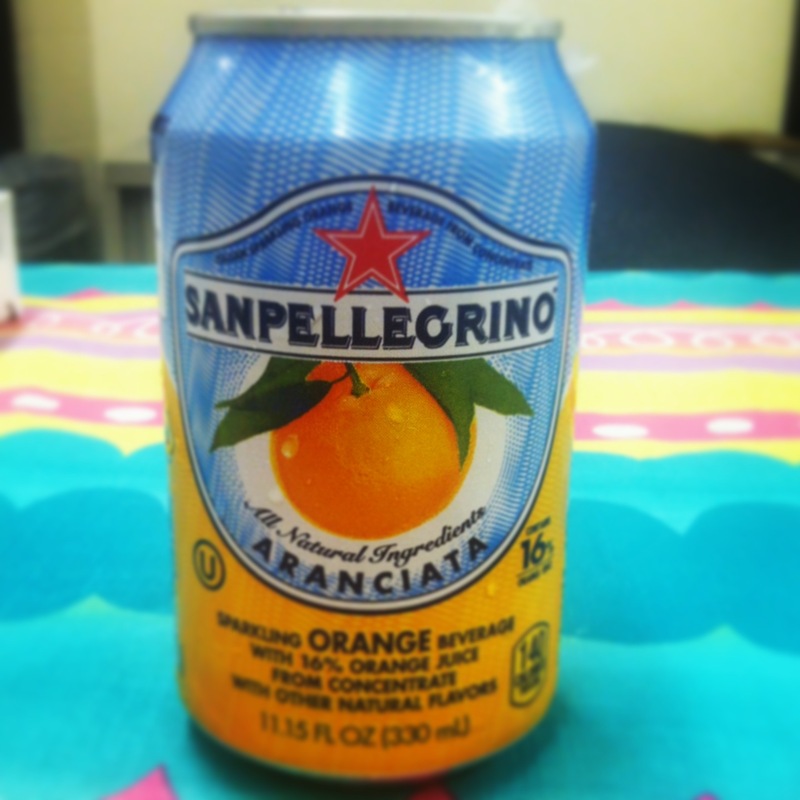 On another note I think I found my non-alcoholic beverage for the summer, flavored SanPellegrino!! It’s amazballs. You must try! I know they have orange, blood orange, and lemon. Today I tried the orange and was on heaven, so I must run to the store and stock up! Well lovies that is all for tonight. I am going to a Marie Claire event tomorrow, so tomorrows post might be a bit more exciting!